Several users can work with a single database file simultaneously and sync changes over the Internet. Put your database file into iCloud Drive and all changes you've made will appear on other devices and vice versa: changes are made by other users will appear in the program within a few minutes. 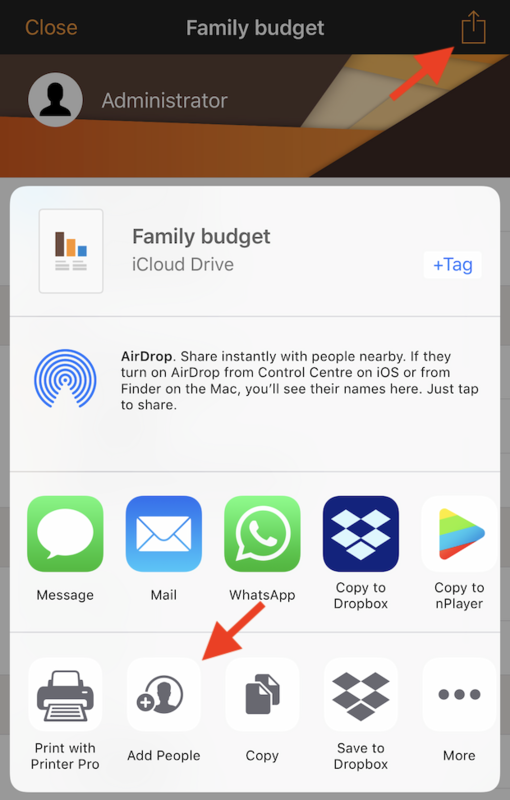 To share a budget with family or colleague tap on the Share button, then tap "Add people" (if there is no button, this means that the file isn't located in iCloud Drive). The file will appear in the other users iCloud and they'll be able to make changes (if allowed) and see the changes are made by other users. To work with the database file on a PC simply download and install iCloud Drive app for Windows and cloud contents will appear on you PC as a common folder. Then download and install Alzex Finance for PC (version for Mac OS is also available), find your file in the cloud and open it (double click or main menu File - Open). Share a budget via other cloud services, local network, own server, etc. 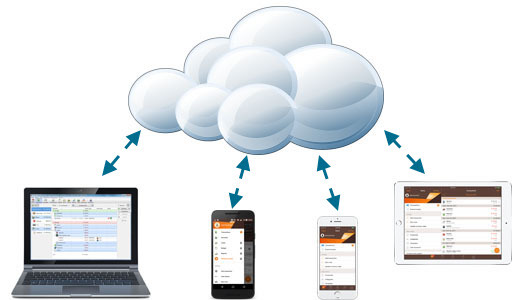 The Files app lets you add third-party cloud services and apps that provide access to local networks, FTP-servers, NAS and so on. Download and set up a third-party app, then enable it in the "Locations". To share a budget with other users follow the instructions of the corresponding cloud service. Sometimes a conflicted copy of the file can appear, simply delete it (your changes won't loss). Database file located in Google Drive can be opened only in the Files app. It's convenient to store database file in iCloud, however there is no iCloud available on Android devices. If you don't want to use third-party cloud services, simply copy your file to the Android phone (e.g. 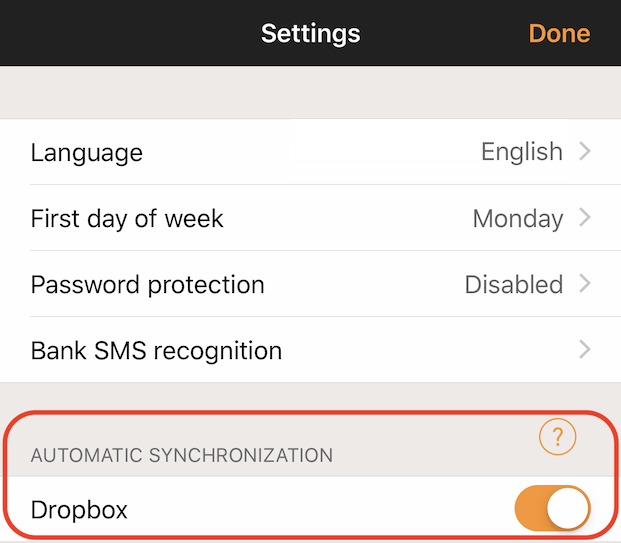 send it by email) and enable automatic sync in the app settings. Use the same Dropbox account on all devices. You can create a separate account for sync purposes only. 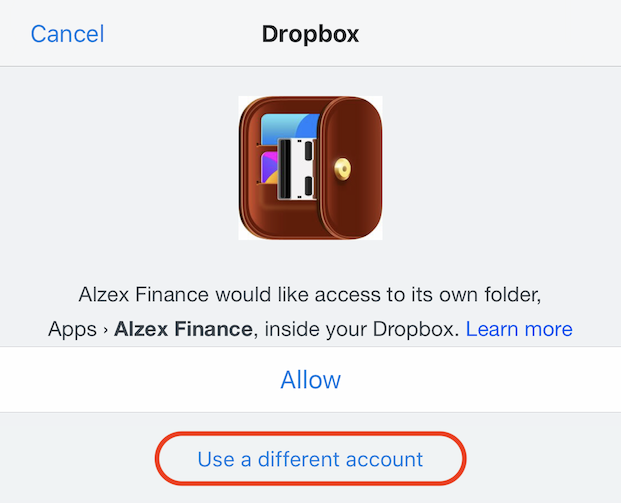 If you have Dropbox app on your phone you can still use another account: simply tap "Use a different account" button. We recommend to use this option when you share a budget with Android users. The database file can still be in iCloud Drive, so you can share a budget with other iOS devices, Mac and Windows PC via iCloud and sync data with Android users via Dropbox.